Today we have for your consideration a “For Your Emmy Consideration” video from the makers of Unbreakable Kimmy Schmidt, because promotional strategies aren’t limited to in-episode ratings stunts. 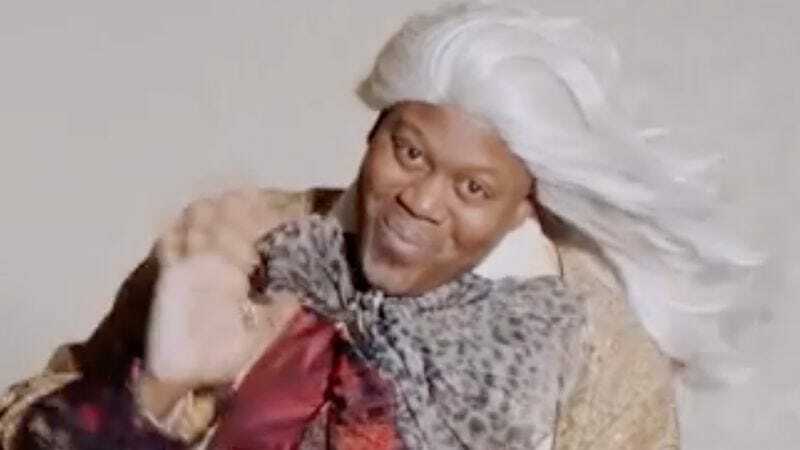 Aspiring Broadway performer Titus Andromedon’s (Tituss Burgess) Hamilton audition tape was leaked last night, a feat he managed to accomplish in the middle of last night’s Tony awards ceremony (you just know there’s some Peeno Noir behind this). Tituss does his best to embody Alexander Hamilton, the “ten-dollar founding father,” but he lacks a script or a libretto from the Tony-sweeping musical. These outtakes demonstrate how little information the guy was working with, though his improved lyrics “rappy, rappy, rappy—I’m rapping!” seem to capture the spirit of the show. And just look at that pompadour. Tituss may not have gotten a part in Lin-Manuel Miranda’s Broadway sensation, but Unbreakable Kimmy Schmidt remains in the running for one of this year’s Emmys, which will be presented on September 18.